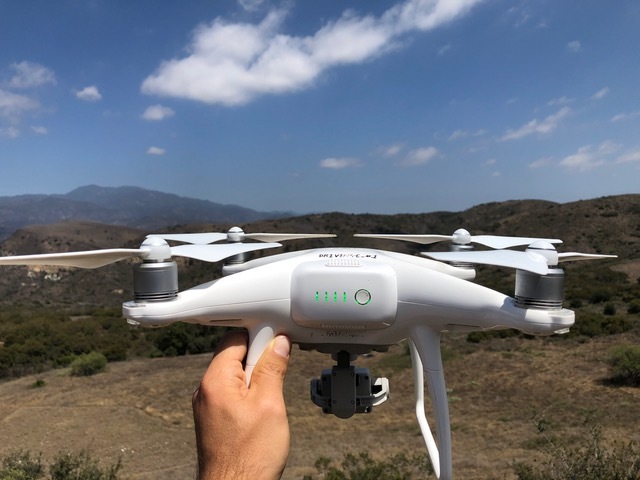 SDSU’s Sky Oaks Field Station (SOFS) recently hosted a visit from the DRIVING-C team, who are using drone photogrammetry to measure aboveground biomass in the chaparral vegetation. Drylands play a major role in the global carbon cycle, as these areas are believed to dominate both long-term trends and interannual variability in the uptake of atmospheric carbon by terrestrial ecosystems. Our scientific understanding of these processes is represented in dynamic global vegetation models, but these models are quite uncertain, making future predictions difficult. Funded by the UK’s Natural Environment Research Council (NERC), the DRIVING-C project aims to reduce these process uncertainties, by combining empirical observations of carbon stocks and fluxes with model simulations. The core project team of Prof Richard Brazier, Dr Andrew Cunliffe, Prof Stephen Sitch, Dr Tim Hill, Prof Karen Anderson and Dr Fabio Boschetti, all from the University of Exeter in the UK have a wide range of expertise in measuring and modelling carbon dynamics, including plant ecophysiology, eddy covariance, and multi-scale remote sensing of vegetation structures. The team is working are multiple field-sites spread across the semi-arid southwestern USA, including SOFS. The recent work at Sky Oaks prepared the three eddy covariance tower sites (which vary in fire history) for detailed surveys of vegetation biomass, and included laying out precisely geolocated ground control markers and conducting preliminary aerial surveys to understand vegetation structures.